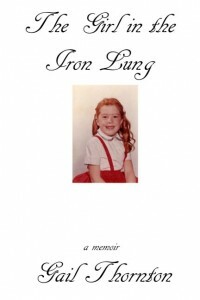 The Girl in the Iron Lung is a holiday story. In the voice of the little girl, you will follow her through sadness and triumph as she experiences the isolation of the holidays alone in a large machine doing the breathing for her. She is completely paralyzed and at the mercy of others, and sharing this story brings gratitude and joy into the hearts of the reader for the life that they have.